I’m just saying, if Donald was lined up right side, Edoga would be asked to chip and finish off play with or without double team, he has hand and foot speed to deal with a Donald type of penetrating DT. Be interesting to see how Patriots double team and bring help to slow down Donald? Brady hasn’t hardly been touched and they let Big Nate go before the season. Duane Brown measured 6'4" at the combine. Isiah Wynn measured 6'2-3/4" and the Pats drafted him last year with the intent to play him at LT. Kelvin Beachum has made many starts in the NFL at just under 6'3". Charles Leno is 6'3"and starting for the Bears at LT. Etc. Not saying that being 6-4 and under is common or preferable for a NFL LT. It's just not an absolute prerequisite. I do agree that Edoga would be a bit of a project, as he has played mostly at RT in his career at USC. Why move him to LT and turn him into something he’s not, a project, when he’s ready to plug and play as a starting RT? Right tackles, more often than not these days go against speed and best pass rusher, and Edoga is athletic enough to counter. Rock had a PI in the game, but a very good week of practice. Overall, Ya-Sin really helped himself during Senior Bowl week. I just pointed out that he was playing LT and playing it well during the week and the game. Which gives Edoga more value. But sure, he would be closer to starting right away at RT, though he would be among the smaller RTs in the league, as well. Sometimes, you just have to say, “screw the measureable” and take the football player. justmy2cents, OptimisticTexan and steelbtexan like this. WR, 3rd rd or later Speed WR's. OptimisticTexan, JB and beerlover like this. TigerV1, OptimisticTexan and JB like this. Sheffield not getting much attention but I like what I've seen. Definitely has speed. 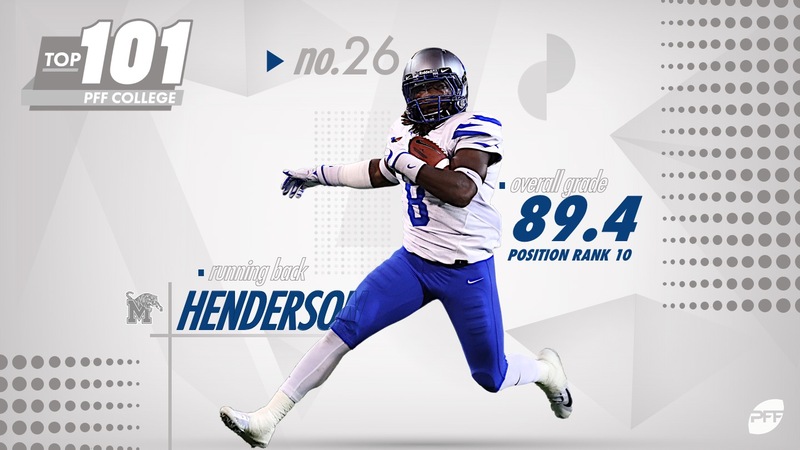 Henderson held on to the crown of most yards after contact this season, gaining a ridiculous 1,321 yards after first contact and averaging 6.17 yards after contact per attempt. No running back who carried the ball at least 61 times had a better average Yco./attempt as Henderson did a near-miraculous job of weaving his way through his impressive run blocking while also finding his own holes and breaking his own tackles in 2018. Wanna RB in the later rounds? Listed around #237 on Drafttek's board, but that will likely change. Should be there for our 6th, but if you are serious about taking a back in this draft, you go after him in the 5th. It’s been said before but can be said again, Murphy’s prowess in coverage can be summed up with one performance this season, and that came against Utah in the Pac-12 Championship. 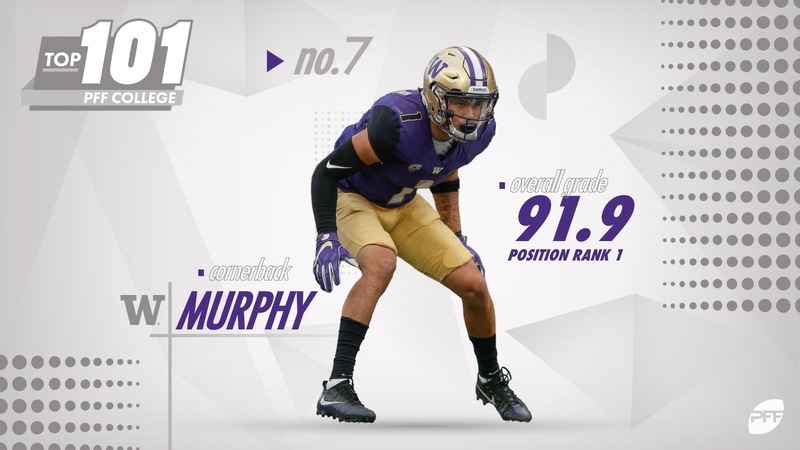 From his cornerback position, Murphy was the only player to see the end zone as he recorded a Pick-6 for the game’s only touchdown in the Huskies win over the Utes. With that in mind, Murphy was more than just a one-game sensation as he was targeted 62 times, yet allowed just 78 total yards after the catch in his coverage. He broke up 13 passes to go along with his four interceptions and saw a 54.5 passer rating when targeted. Murphy is PFF's highest graded CB in the draft but Deandre Baker is not far behind him and I would be pleased with either of them in a Texans uni. I'd like to see a compact RB like Henderson. mussop, Texansphan, OptimisticTexan and 1 other person like this. His yards after contact are impressive and he can block. Has some serious cuts. Oh and he has wheels and can catch too. The one around the 3:50 mark is amazing. I have a feeling RB Henderson and OT Lowery will be fast risers in this draft. Really like him and if we cannot get Harris or Snell, he becomes target for me no higher than 6th as we need other positions in 5th. He pounds!! Henderson looks pretty darn good. I like that he doesn't seem to go down easily and has what looks like very good balance and acceleration. Top end looks pretty good, but it's always hard to tell if he is really fast or if the competition is just slower by comparison. Texansphan, OptimisticTexan and JB like this.